I saw this picture today on hypebeast in their streetsnaps section. I was like Wow! that’s a perfect shot of shoes! 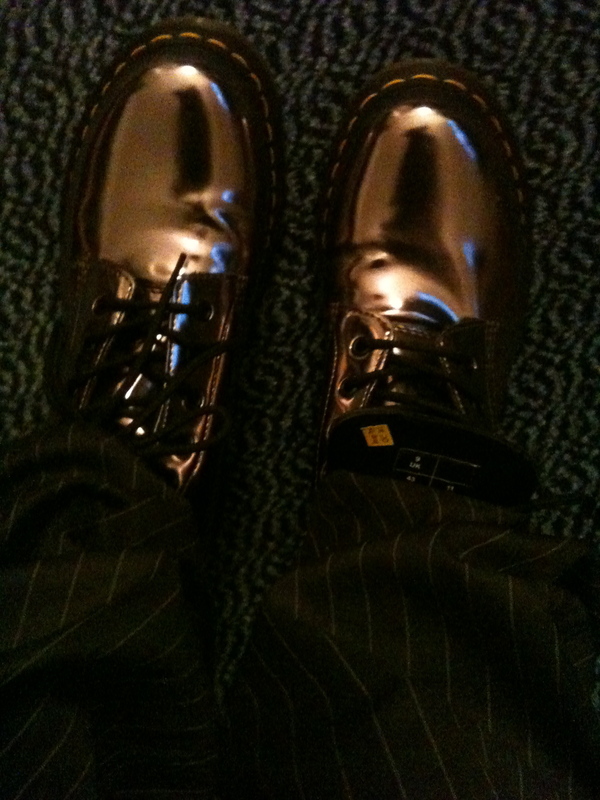 black with a classy zipper, crisp clean white laces, perfectly scrunched skinny Khaki’s and a nice reflective shadow. So, I went on-line to find out what they were..come to find out the picture better look nice, these kicks are going for $1,025 on sale now for a mere $718USD at SSense. I guess that’s why they caught my eye, they are crippling expensive kicks. They are still nice especially with the crisp white laces and the perfectly scrunched khakis. 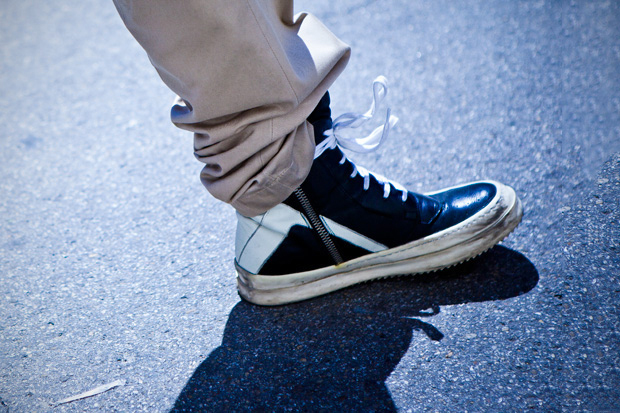 If you want a pair for real and have the dough, check out Rick Owens Classic High Tops. Hey-maybe they cost so much because they are made in Italy. First I’ve ever seen of this brand. See you Thursday night at Lotus in Chi-Na-Town, Hawaii. Gary O, Nocturna and Sniper Wells Dj’ing from 9P-2A. 80’s, 90’s, now, Punk, Post Punk, Industrial, Cyber-Goth, and more! 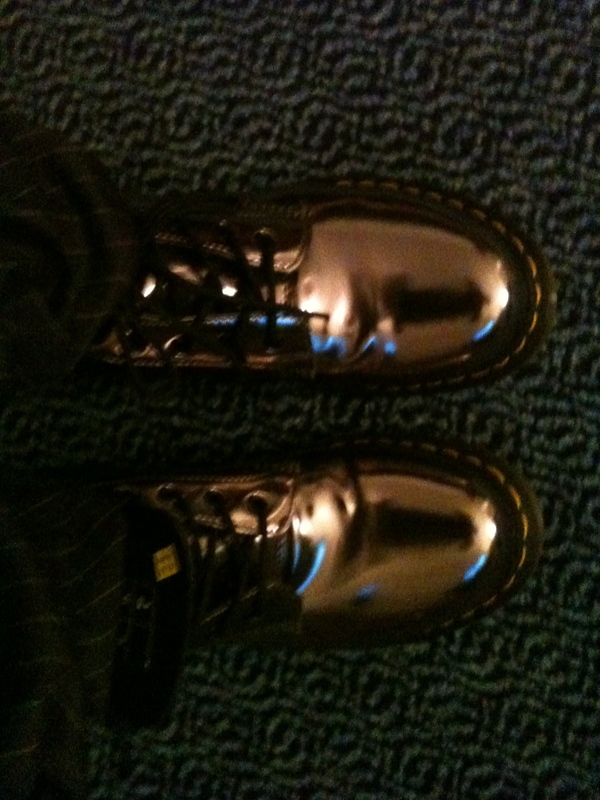 OH … and I’ll be Rockin’ my $150 Metallic Pewter Docs-which I thought were pretty expensive shoes!